Over the Rainbow Bath Bombs are so much fun! 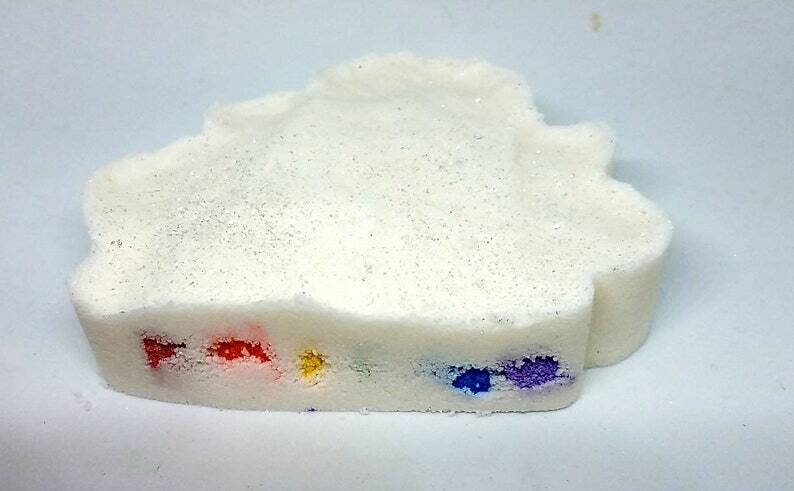 A rainbow streams out from underneath the "cloud" when it is placed into the warm tub water. The scent will fill the bath area with a wonderful aroma and leave your skin feeling clean, soft and fresh. These make wonderful gifts for adults and children alike.